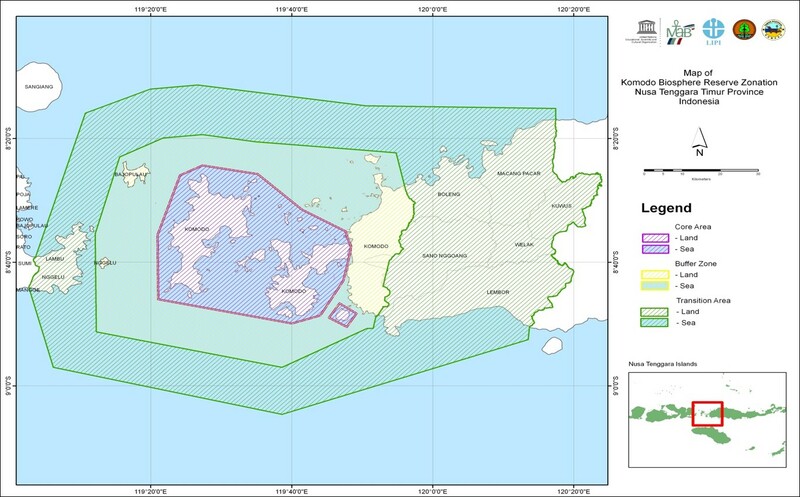 The biosphere reserve is situated in a transition zone between Australian and Asian flora and fauna habitats. Terrestrial ecosystems include open grass land, woodland savannah, tropical deciduous (monsoon) forest, mangroves and quasi cloud forest. 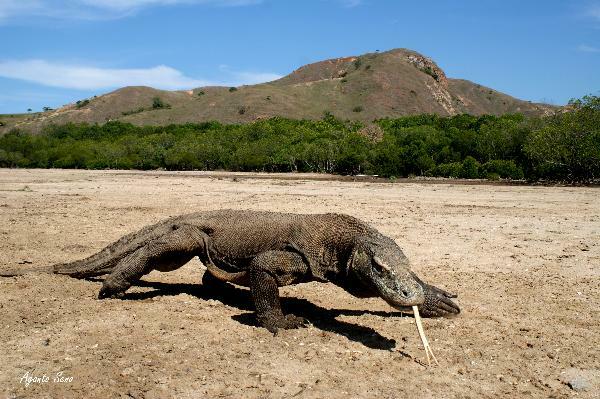 The Komodo Biosphere Reserve and National Park is renowned for its population of about 5,000 giant lizards, also called ‘Komodo dragons’ (Varanus komodoensis). They exist nowhere else in the world and are of significant scientific interest. In addition to Komodo Island, the biosphere reserve encompasses the islands of Rinca and Padar, as well as numerous islets. It also includes one of the world’s richest marine environments with coral reefs.